If prisoners with violent pasts and challenges that are difficult for most of us to imagine find such value in the practice, then certainly we can as well. As we practice we see the tight knots of fear within our thoughts and emotions. These men who went on a ten day retreat within prison walls began to see the tight knotted patterns of their thoughts and emotions that had made their past actions seem justifiable. The practice of silent meditation let them begin to see things more clearly as they let down their defenses that had kept them from being able to take responsibility. If the practice can make such a difference in the lives of those in our society who are prone to inflict the most violence, (and to hear them describe the events that led to their incarceration is terrifying), then meditative practice — learning how to be in the present moment, aware of what arises and developing compassion for ourselves and all beings, with a special focus on those we may have harmed, is the key to creating a peaceful society. For those who feel prisoners don’t ‘deserve’ to meditate, there is a misunderstanding of thinking meditation is some kind of easy escape, a holiday, a spacing out. It’s true that some people try to use it that way, but the Vipassana meditation being taught on this retreat was anything but an escape. On the contrary, insight meditation is a willingness to come face to face with our mindless destructive patterns that can leave devastation in their wake. The interviewed retreatants came to, maybe for the first time, a real understanding of the pain they had caused others. So much of my own Vipassana silent retreat experience has been spent in communing with nature because I attend retreats at Spirit Rock Meditation Center, nestled in the oak-studded hills of Northern California. In between periods of sitting practice, we do walking practice often outside in nature. Rest periods and breaks can be spent outdoors, and the buildings are spaced at a distance apart so that even going to and fro takes one out into nature. After the last sit of the evening, walking slowly back to the dormitory, looking up into the deep sky or walking through the mist, is such a powerful gift. How different it must be to spend a retreat entirely in a locked gymnasium divided into eating, sleeping and practice spaces by blue tarps strung on rope. Yet within the confines of that gym was a true retreat from a world inside the prison where one must always be on guard. Letting go of defenses within the retreat, the practitioners truly entered an interior spaciousness, their own true nature. Where we sit is not anywhere near so important as the sitting itself. We can get caught up in needing the perfect setting, and postpone or deny ourselves our practice. I once taught meditation in a gym — well, actually in a fitness club. The small room given me to teach in was not at all sound proof, and the noise of the exercise equipment in use on the floor above, and the occasional booming of music when a receptionist up front forgot there was meditation going on, gave an unusual quality to the experience. I told my students, “If you can meditate here you can meditate anywhere.” That stint added an awareness of how important it is not to set ourselves up to believe that conditions have to be just right for meditation. Meditation can happen anywhere. I call it a portable practice and encourage meditators not to rely on external conditions — tapes, altars, a particular set up, etc. To be an altar unto ourselves, to have a practice that does not rely on sitting in a position that we could not do in an airport waiting area. The bare bones of relying on the sitz bones and erect spine to support us, to let our muscles relax, to be balanced and aligned, can be accomplished anywhere by a trained meditator. Seeing how these prisoners were able to meditate was proof that all we need is the skill to practice. The dedication with which the incarcerated meditators continued to practice together after their ten day retreat, the way each continued their personal practice, even when denied the right to do so, is truly inspiring. When we feel as if we don’t have the time or conditions aren’t right, it is quite useful to remember these men and the distractions and discouragements to practice that they face, yet they persist, because it means so much and makes such a difference. The men were of various faiths and the meditation was not taught as a religion. Because the program was challenged on the grounds of proselytizing a particular faith, it is important for all of us to remember that meditation is a practice that enhances being present, being able to listen, being patient, being compassionate and getting to know the inner workings of our minds and in what ways our patterns of reactivity and resistance that have caused us and others such suffering can be softened and dissipated. In this way meditators are often more able to find their own religion strengthened, because they are more present with it. It’s such an important thing for the religious to understand and let go of the idea of meditation being a threat to belief. The Dhamma Brothers is an incredibly inspiring story for anyone who meditates or would like to, as well as for anyone who thought there is no way to find internal peace if one’s life isn’t perfect. It is also extremely important viewing for anyone who believes that the solution to crime is to lock people up and throw away the key. Lock them up if they have shown themselves to be harmful to others, but don’t give up on them. Provide training, insight and compassion, and those who have the willingness to undertake the challenge, have the capacity to transform dramatically. Given this possibility, how can we not give them that opportunity? It is not an indulgence, but an intelligent response to a dense difficult problem. Since it cannot be forced, but must be undertaken willingly, obviously not all will benefit. But even those who do not undertake it benefit from an environment where there is the possibility of transformation, and where there is an energy of peacefulness growing, making it safe to breathe. 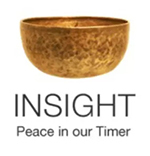 May the meditators in this film know that when we say, “May all beings be well, may all beings be happy, may all beings be at ease, may all beings be at peace,” as we do at the end of every class, that they are very much included in our well wishing. As are the filmmakers, guards, teachers, fellow prisoners who did not participate, all of their families, and the people who support and promote this program, and yes, including those who would shut it down. May their hearts be opened. This entry was posted in Dhamma Brothers, film review, http://schemas.google.com/blogger/2008/kind#post, prisoners, retreat on April 1, 2012 by Stephanie Noble.